At CEM we believe that every person’s life we touch should be treated with honour, dignity and respect. 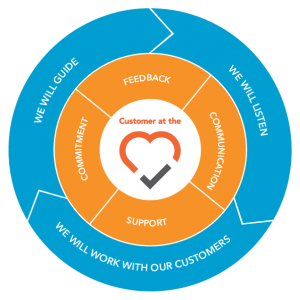 Our Customer Commitments and Service Standards provide CEM with a standard of service delivery that ensures our customers, who are at the heart of our business, understand how important they are to us. We want our customers to know what to expect when dealing with us and we support our people to deliver it. We value your feedback around your experience with us. Feedback can be provided to us at any time via our online feedback form. At certain times we’ll invite you to participate in a short survey designed to capture your feedback. We use your feedback to improve our services and may contact you about your experience to ensure your expectations are being met. Our service standards align with customer commitments developed from feedback we received from our customers and our people. They help all of us become aware of how our behaviours impact our customers’ experience and identify specific behaviours and actions related to the service standards.